At CSID, it’s always been our corporate philosophy that our company’s success directly correlates with the happiness and well-being of our employees. That’s why earlier this month, we were proud to launch a new parental leave policy for both our male and female employees that includes 12 weeks of 100% paid time off, with the flexibility to distribute the leave over a six-month time period. We believe we’re one of only two companies in Austin offering parental leave at this level. Check out what Built in Austin and AustinInno had to say about the news, and read more about the new policy here. On January 28th, the National Cyber Security Alliance hosted their 9th annual Data Privacy Day. Companies and organizations from around the world celebrated this initiative to create awareness and inspire action around the protection of privacy and personal information. CSID was proud to participate once again as one of this year’s DPD Champions, chiming in to the conversation and sharing privacy resources during the DPD #ChatSTC on Twitter. 2015 brought with it a heightened global focus on cybersecurity, with record-breaking data breaches and concern around national security increasingly seen across the headlines. CSID’s President Joe Ross weighed in on the cybersecurity issues he anticipates to see in 2016 in his latest article on Huffington Post. Check it out here: Mobile and IoT to Dominate Cybersecurity Threats for 2016. It’s February, which means South by Southwest is almost upon us. This year, CSID’s Chief Innovation Officer Adam Tyler is hosting a session called Digital Identities: Modern Underground Currencies. Adam will speak to the evolving digital currencies of the underground marketplace and provide an inside look at how transactions take place between cyber criminals. Here’s the info, we hope to see you there! January was a great start to 2016, and we’re looking forward to what the rest of the year will bring. Stay up to date with everything going on at CSID by following us on Facebook, Twitter and LinkedIn. On behalf of all of us at CSID, we want to wish you a safe and happy New Year. This past year was a big one for us, and we’ve appreciated you following along with our updates throughout the year. In case you missed it, we recapped some of the biggest highlights in our “2015: The Year in Review” blog post earlier this month. Be sure to stay tuned to our blog for updates on our podcast series, Firewall Chats – we’ll be rolling out season two early in the New Year. We’re looking forward to sharing the latest cyber security best practices, tips and tricks to keep consumers safe and more in 2016. If you haven’t already, mark your calendars for Data Privacy Day (coming up January 28). We’re excited to be participating once again this year as an official Champion. Find out how you can join us by getting involved here. As always, we welcome your thoughts and suggestions for our blog content and podcast series. 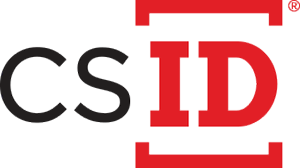 Please feel free to reach out to us and stay up to date on all CSID news by following us on Twitter Facebook and LinkedIn. October is National Cyber Security Awareness month (NSCAM), and we’re excited to be involved and show our support as an official champion! While it’s important to keep cyber security top-of-mind throughout the year, NCSAM provides a dedicated time for companies and organizations to share tips, best practices, and collaborate on how to stay safe online. October 29: So You Want to Work in Cybersecurity? Host a lunch and talk to coworkers about online safety on one or more of the weekly NCSAM themes. Organize a volunteer day with local schools to teach young people about cybersecurity and online safety using StaySafeOnline.org’s ready-to-use teaching materials and lesson plans. Stay tuned to the blog throughout October for cybersecurity tips and tricks from CSID experts. Have additional ways you’re celebrating NCSAM? Share them with us on Twitter and Facebook, and be sure to check out our Tumblr for the latest industry news stories.